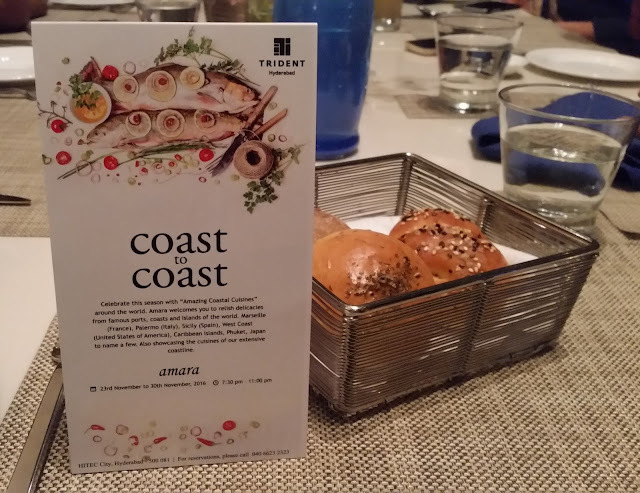 The promotion is part of the dinner buffet of Amara, the all-day dining restaurant at The Trident Hyderabad. At a preview of the festival, we started with some Kerala Fried Fish, boneless pieces cooked in the traditional red coloured masala. Next was a starters from across the world, Chicken Drummettes in a fiery California sauce. 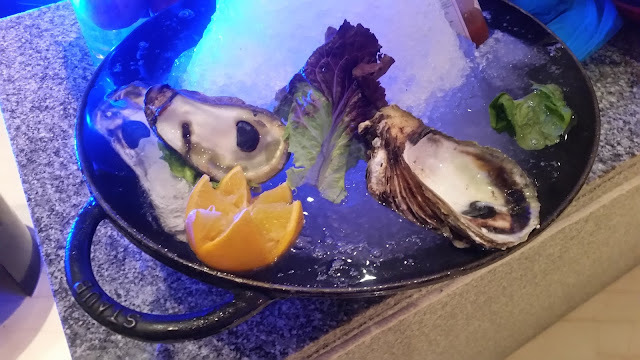 For me, the star attraction was the Seafood Bar, which had Oysters, fish and crabs with a choice of dips and sauces. From the A La Plancha Grill Station came some grilled squids, scampies and fish. The salad section also had its fair share with Seafood Ceviche and Shrimp Cocktail. 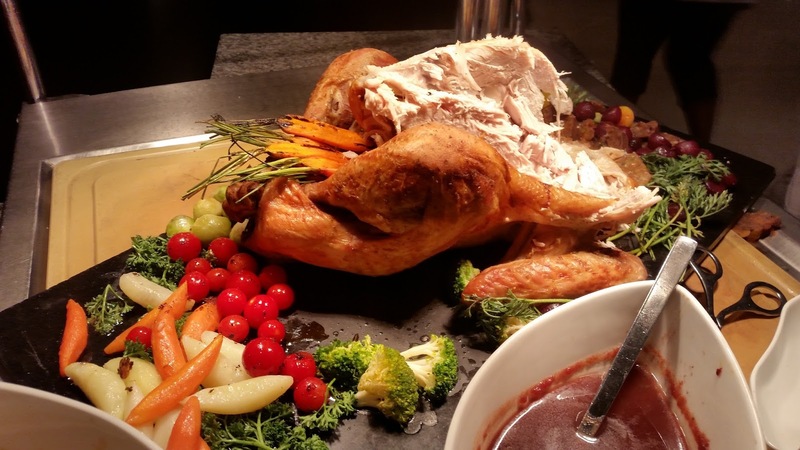 The day happened to be Thanksgiving Day, and it was a double celebration with a huge Turkey served with jus. There were other meat dishes in the salad section as well, my pick being the Caribbean Jerked Spice Chicken with Onions. The vegetarians also had a field day. There was a Lebanese Mezze Bar with dolma, Mutabbal, Fatoush and Hummus. In the salad bar Cous Cous and Barley Salad with Bell Peppers was preferred. And the starters had Oriental Salt and Pepper Vegetables. 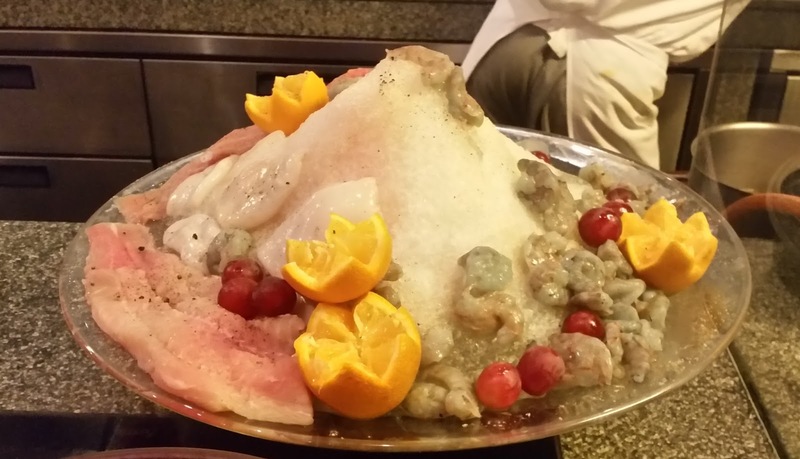 With the appetizers and salads behind us, we turned our attention to the main courses. My attention was drawn to Islanders Goat Curry, a subtle preparation which went with rice. I am a fan of Thai curries, and the Phuket Massaman Curry did not disappoint me. 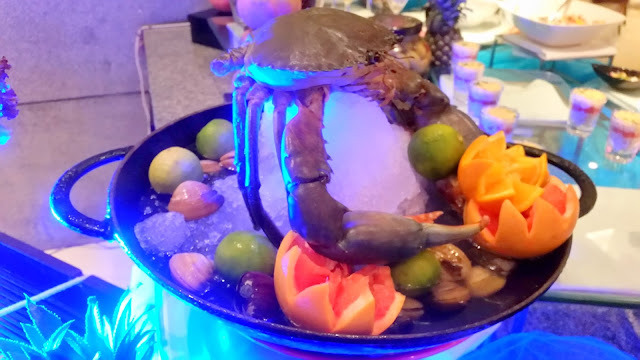 There was a Seafood Stew, which was an example of nice food, and this was the favourite of most on our table. Being a Bengali I could not resist the Doi Mach, the curd based Bengali curry which was prepared to perfection. The Goan Lamb Xacuti also made its mark on the day. 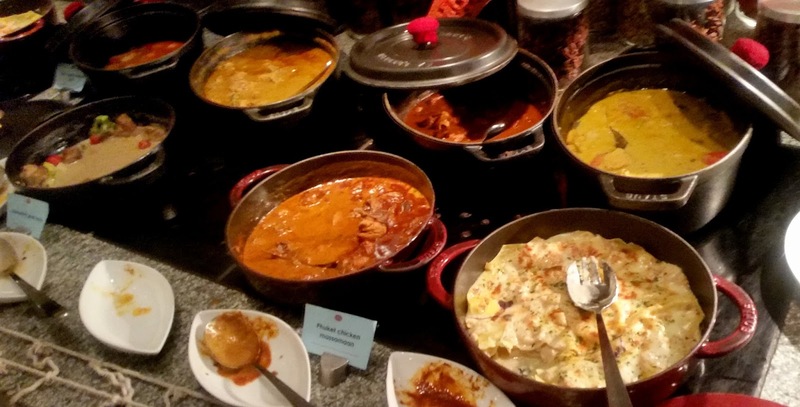 The main courses showcased curries and gravies from around the world, and to the credit of the team of chefs most of these preparations vied for the top honours. From the vegetarian items, our own Hyderabadi Bagara Baigan and Paneer Methi Malai were noteworthy. The dessert counter had a fair collection too. 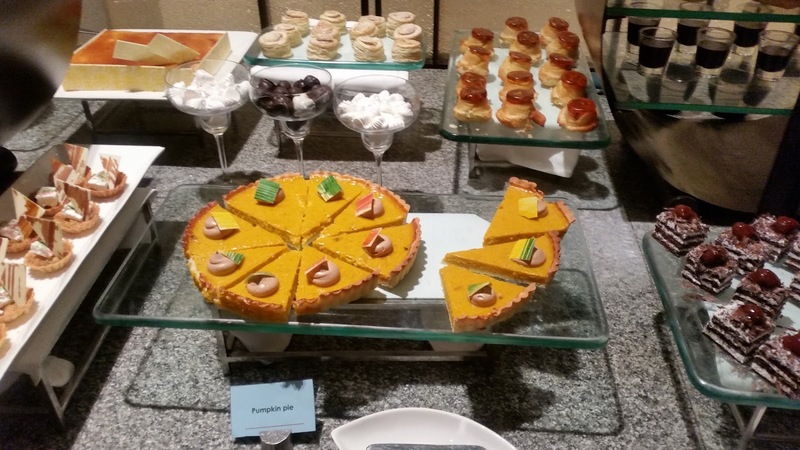 I loved the Bengali Rasmalai and the Black Forest Pastry. Apart from these, Crème Brule, Passion Fruit Mousse and Besan Ka Laddoo were some other desserts on offer. An interesting promotion from the restaurant. As Executive Chef Manik Magotra told us, coastal cuisine is not just about seafood. It uses lot of other ingredients which are available near the seaside such as coconut and cashew. 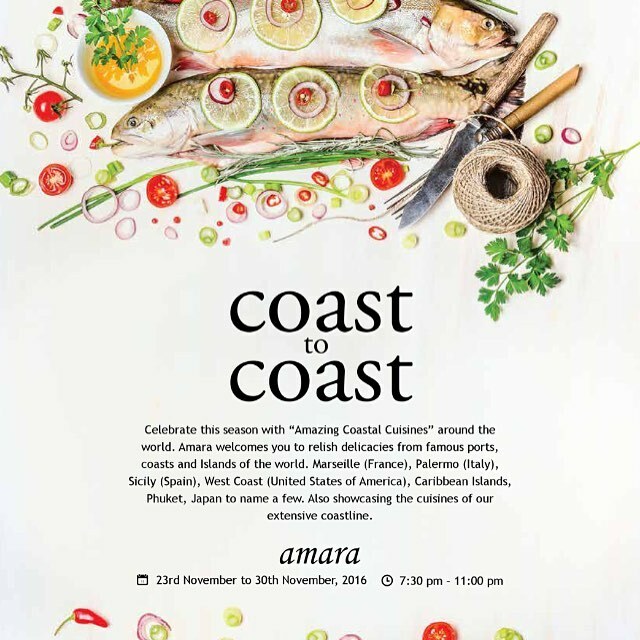 The promotion at Amara touches upon various cuisines worldwide such as Italian, Mediterranean and Oriental apart from diverse recipes of the coastal areas across India. That is what makes this festival so interesting. 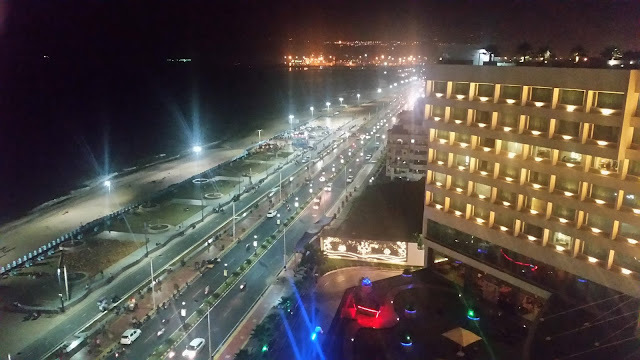 The festival is on till 30th November, and the buffet is priced at Rs 1640.